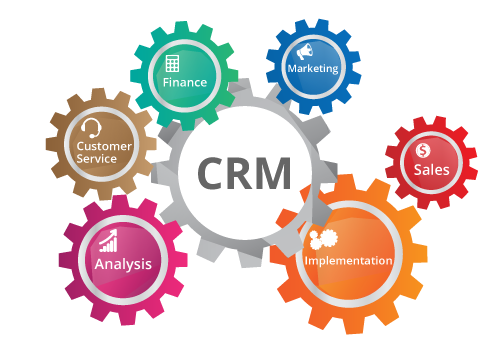 A CRM or Customer Relationship Management system involves all the strategies, actions and technologies a business uses to handle their customer interactions and data. 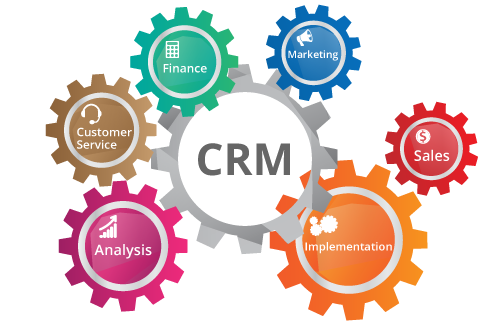 CRM software compiles information from multiple platforms and points of contact, into a single system database. We bet your head is spinning just from the concept of managing so much information. Aha! This is why you can employ a platform for the job! A cloud based CRM platform can be used singularly or as a package of multiple platforms that make up a provider’s entire CRM system. A business can use this technology to measure, analyse and improve their relationship with their customers. It sure is a handy tool to have in place for your sanity and ultimately your customers. So Which Product Is Right for Your Business? There are plenty of products available in the world of CRM and while we’d love to write the ultimate CRM guide, let’s just compare two of the leading SAAS (Software As A Service) platforms on the market currently. The Sales Cloud (Lightning Enterprise) package by Salesforce and Oracle Eloqua (Standard) package are two competing platforms and are both capable of impressive input possibilities, tracking and reporting. Salesforce Sales Cloud manages the marketing, sales and customer support involved in customer interactions with a business. While, Oracle Eloqua is a marketing automation platform, which stores customer information and manages the lead generation process. We compared three key CRM components in each product to help you decide which software could be right for your business. Let’s dive in! Both platforms offer multiple apps for mobile and email integration. Ease of use will really depend on your own preference for interface design. These products offer very different layouts so one of them should gel with your thought process and cognitive preferences. If you appreciate a traditional and neatly designed interface then Salesforce could be your provider of choice. A user can move through tasks systemically. Though minor limitations may be found in the design of customisation of fields in areas like building reports and lead conversions. Oracle Eloqua on the other hand has taken a more visual ‘mind-map’ design approach. This can be easier when building a program that can direct customers down different paths based on taking or not taking an action. But, if you aren’t comfortable with HTML coding this area may become complicated and require some practice. 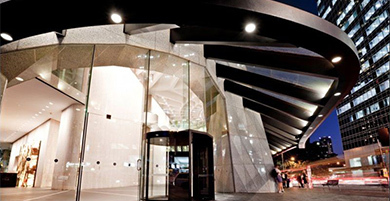 They do offer online training tutorials if you prefer innovative over traditional design. Overall, you will need to take time to learn either software to get the most out of the technology and if you have a team that need to get on board with the CRM it’s a good idea to have them involved in the research phase too. After all, they will be the ones using it day in, day out. If you want to contain costs, both Salesforce and Oracle Eloqua offer a system of automated business processes and template emails that allow for easier customer direction and communication. Salesforce also allows access to more advanced sale forecasts and trends as well as customer recording and performance tracking through their Sales Cloud. While Oracle Eloqua allows the user to personalise when organising campaigns to send to customers. The software provides important customer information and segmentation through tracking data like website visits and responses. This helps to build and manage more focused customer campaigns, and increase conversions and sales. Although, according to technology review sites like TrustRadius and g2crowd there are also user concerns that the product’s reporting takes too long to set up and the data feedback received isn’t in-depth. Important to note, users have access to monitor their sales tracking via mobile (on/offline) through either product. The Salesforce Sales Cloud offers a collaborating forecasting tool. This is a handy feature to turn on as it forecasts any opportunities for your business. The system analyses the data presented and predicts a forecast based on the end date of the opportunity. It’s also designed so that a sales representative can maintain a clear view of the status of an opportunity. There are nine opportunity stages listed in the system. This keeps the data clear and simple for everybody involved to read – even those of you who swear not to be linear thinkers. Oracle Eloqua takes a different approach and focuses on tracking web activities throughout the sales cycle. The system uses lead scores to identify and prioritise sales opportunities within the CRM as a way of forecasting for the business. Basically, Oracle has the ability to understand and report the customer engagements and pathways on your website which provides valuable insight for marketing and sales teams to collaborate and direct highly targeted campaigns. Which Product Offers the Best CRM Components Overall? It’s important to remember that no CRM is perfect, so consider what you need and the interface you prefer to use. Understand what your ultimate goal is for the CRM and be sure to include the feedback of your team. Another good idea is to seek the guidance of other business associates. Ask what they use, what they recommend and what they advise you avoid. When you leverage off the insights of others you will find that you will gauge a more holistic view of what your business needs and what it doesn’t. Don’t forget, all CRM’s require some customisation so factor in how much time you will need to put in, to get it running the way you want and you’ll be able to narrow your search criteria even further. Take into consideration all of these factors and you’ll be closer to implementing the CRM of your dreams. https://wkdigital.com.au/wp-content/uploads/2017/03/crm-system.png 350 500 admin https://wkdigital.com.au/wp-content/uploads/2017/04/logo-2.png admin2017-03-06 18:03:322017-04-26 01:53:13What Are CRM’s and Why Are They Important?